Being a highly popular game of skill with complicated and sometimes difficult strategies for playing, blackjack card game gained a worldwide popularity. Players love playing it in the land as well as in online casinos. In order to increase the blackjack odds, gamblers are highly advised to read blackjack books, watch educational movies. This way it would be easier for them to acquire the useful and helpful knowledge and apply it when playing. It is also very important to learn the basic blackjack strategy and memorize the blackjack strategy chart to be more confident during the play. However, these tips are useful only for traditional blackjack. But nowadays many blackjack variations exist. For example, Pontoon, Spanish 21, Vegas Strip, Perfect Pairs, European Blackjack and Blackjack Switch. The latter is considered to be much more fun comparing to other types. The main goal of the game is still the same as in traditional version and it is to get 21 points and beat the dealer. Players are playing only against the dealer and do not compete with each others. 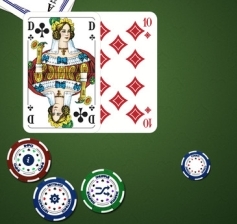 However, the main feature of this type of blackjack is that players are allowed to switch the second cards. Isn't it great? But it can be done only if player puts two equal bets at once. When player gets, for example, 5 and 10, and 7 and 10, after the exchange the hands will be 5 and 7, and also 10 and 10. After the switching player plays two hands separately. Moreover, the strategy is not difficult at all. The payout for winning hand is 1:1.